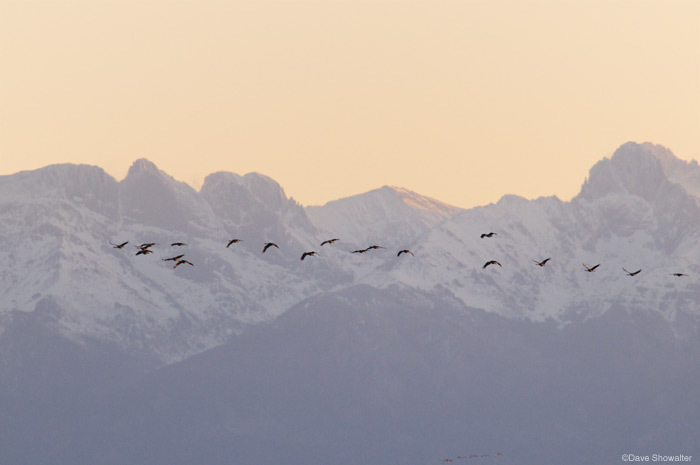 Greater sandhill cranes lift off at sunrise and traverse the face of Crestone Peak and Kit Carson Mountain. More than a quarter of the global population of Greater sandhill cranes pass through the San Luis Valley during spring migration. Photo © copyright by Dave Showalter.